StuffIt Expander is a free archive manipulating tool for extracting data from every modern compressing format on the market. It supports not only popular formats such as Zip and Rar, but also tar, gzip, bzip, and more. Considering all present features of StuffIt Expander, this program is definitely on par or better than any of its competitors (WinZip®, 7zX, iShrink, SimplyRAR, Rarify, Rucksack (formerly iArchiver), BetterZip, RarMachine, GUI Tar, CleanArchiver, Springy, TarPit, RAR, Ez7z and Keka). Entire process of managing StuffIt Expander is incredibly easy. 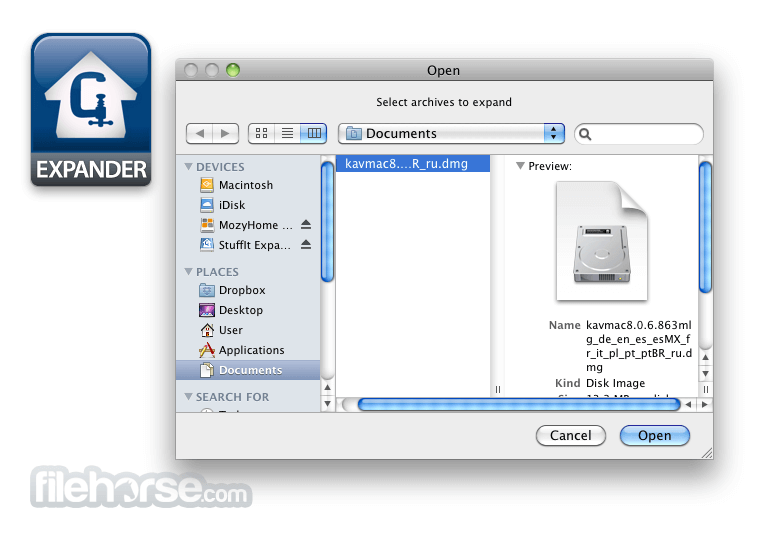 Just drag and drop compressed archives to the StuffIt Expander’s dock icon or opened dashboard, and you will be able to instantly extract entire archive or select files to the destination of your choice. With this kind of setup, even complete novices will be able to manage their compressed archives and increase their productivity with ease. StuffIt Expander is free, and can be found in both standalone version or as a part of StuffIt Trial or StuffIt Deluxe Trial packages. Try StuffIt Expander now and see for yourself why this program is considered to be one of the best. If you chose to try StuffIt Deluxe or StuffIt, you will get access to creating compressed archives, converting image formats, and automatically send compressed files to either designation of your choice or to immediate disc burning. StuffIt Deluxe also has support for file backup, and integration into Finder, iPhoto, Aperture, Photoshop, MS Office and more.